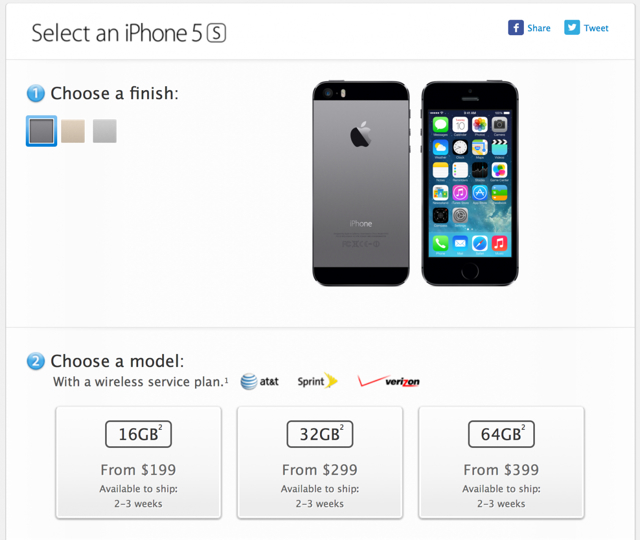 Apple has updated its shipping times for the new iPhone 5s smartphone. Since September 23rd, Apple had only indicated a vague 'October' ship time for all colors, sizes, and carriers of the iPhone 5s. That's now been updated to 2-3 weeks. Earlier this week, Apple announced that the iPhone 5s and iPhone 5c will arrive in Italy, Russia, Spain and more than 25 additional countries on Friday, October 25th. In addition, the iPhone 5s and iPhone 5c will also be available in more than a dozen countries on Friday, November 1, including India and Mexico.